EDIT: Facepunch are still going to announce the new prototype this week, Garry told us on Twitter. “Ian was just feeling a bit down :)”. Original story follows. Facepunch unveiled their arcade space shooter Riftlight over the weekend – one of four prototypes currently in the works at the Rust studio. They were planning to talk about another, too – but reaction from the Rust community has been so bewilderingly negative that they’ve put it off. The second game announcement comes from Facepunch programmer Ian James. Or would have done, if the backlash hadn’t happened. Over the weekend, a subset of Rust fans condemned Facepunch for working on new games while Rust was still in Early Access – some speculating that the game had been abandoned altogether. Needless to say, it hasn’t. 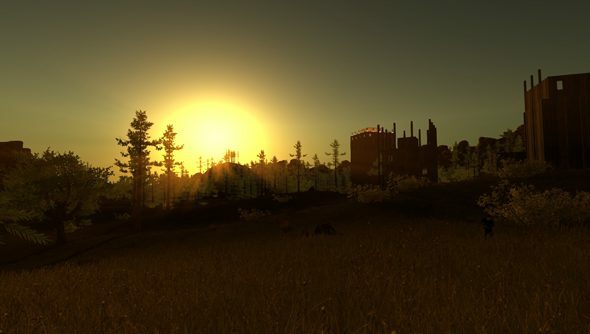 When James joined Facepunch before Rust’s release, four or five staff were working on it. Now, the team has grown to “at least 18”. “As Garry has mentioned there is a devblog every week for Rust,” said James. “There’s even a twitter account that tweets every checkin to our source control. Yesterday, Facepunch founder Garry Newman said that the studio was using money from Garry’s Mod and Rust to bankroll new games – and shouldn’t have to apologise for that. Have any of you lot bought Rust in Early Access? What do you make of it?